What could be finer than eating outside with close friends and loved ones? This Davenport Collection 7 piece Patio Dining Set from RC Willey is just what you need to bring out the best of summer. 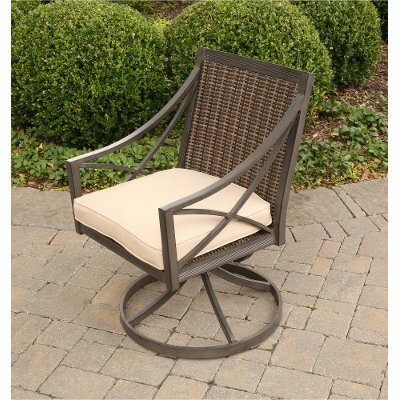 Bring home this Davenport Collection swivel patio chair from RC Willey today! Pair it with the rest of the Davenport Collection to complete the look or use it on it's own for extra seating around the yard. Enhance your patio, porch or deck space with new patio furniture from RC Willey! 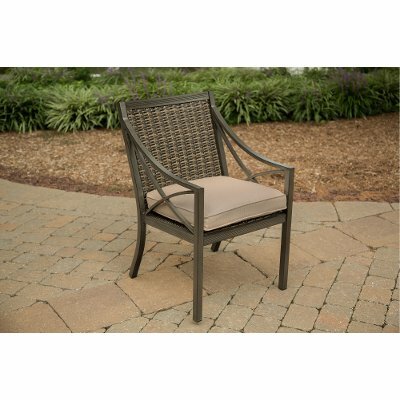 For sale at RC Willey, the Davenport Collection outdoor dining chair is both stylish and durable. We love it paired with the rest of the Davenport collection from Agio Outdoor, but it can be used on it's own or as extra seating when need be. This chair comes with Sunbrella Fabric that is easy to clean and stands up to the weather. Enjoy your outdoor space, RC Willey has everything you need to do it! Sunbrella fabrics are easy to maintain and resistant to the weather. Durable Aluminum frame comes with a 7 year warranty. Easy to clean and weather resistant Sunbrella Fabric keep this armchair looking great season after season. Davenport Collection 7 Piece Outdoor Patio Dining Set is rated 5.0 out of 5 by 1. Rated 5 out of 5 by QuincyDog Beautiful new patio set I absolutely love my new table and chairs. Absolutely beautiful AND comfortable. It seats 6 easily and opens up to seat 8. One person can expand the table. It's very easy to do, although I had to call the store and have them explain how to do it (pull open locks underneath). Everyone says it is so much more comfortable than the set I replaced. The set comes with two swivel/rocking chairs, which I LOVE. Highly recommend this set.